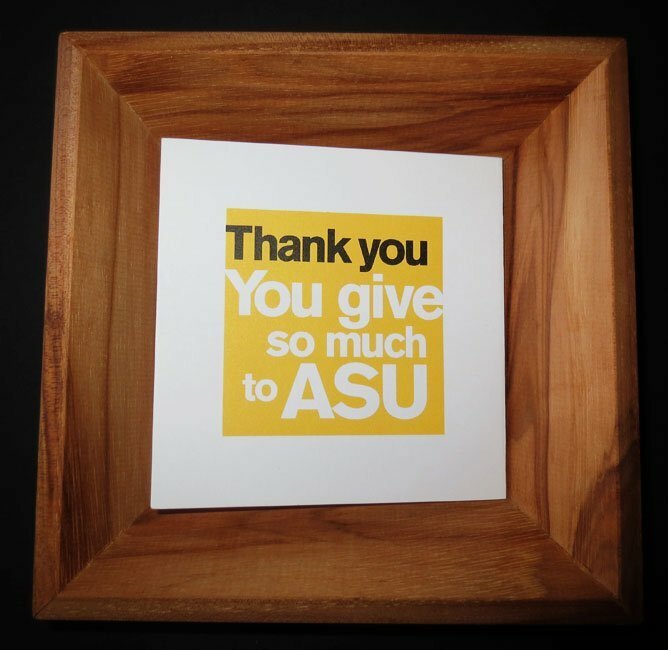 In spring 2014, ASU harvested wood from a pecan tree on the Tempe campus. 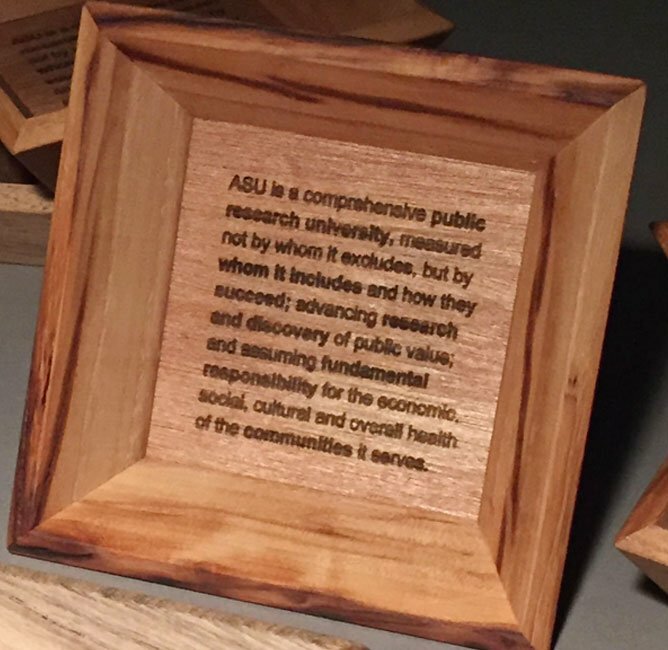 Seeing that it was rich in color and texture, ASU art instructor Damon McIntyre had the wood milled into boards and air dried for two years at the School of Art wood studio—a superior method of drying wood that requires time and attention to detail. 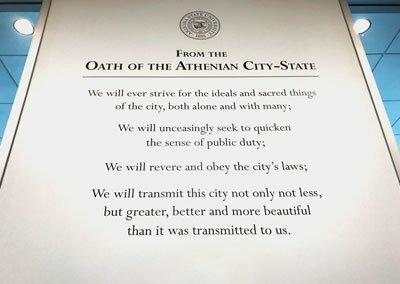 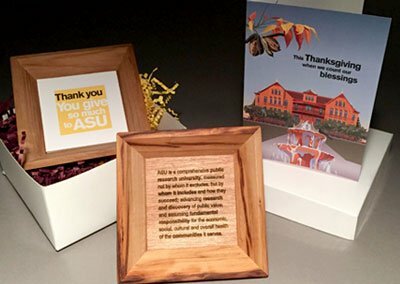 McIntyre then sculpted and engraved 250 trays with the ASU Charter. 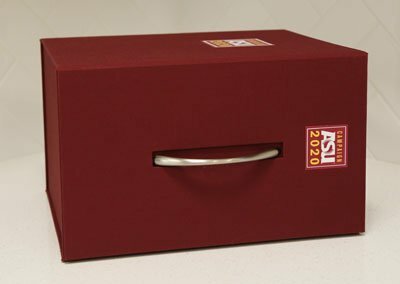 This tray was accompanied by a z-folded inset card, seated in the base of the tray, then carefully nestled in a gift box with ASU gold and maroon crinkle paper. 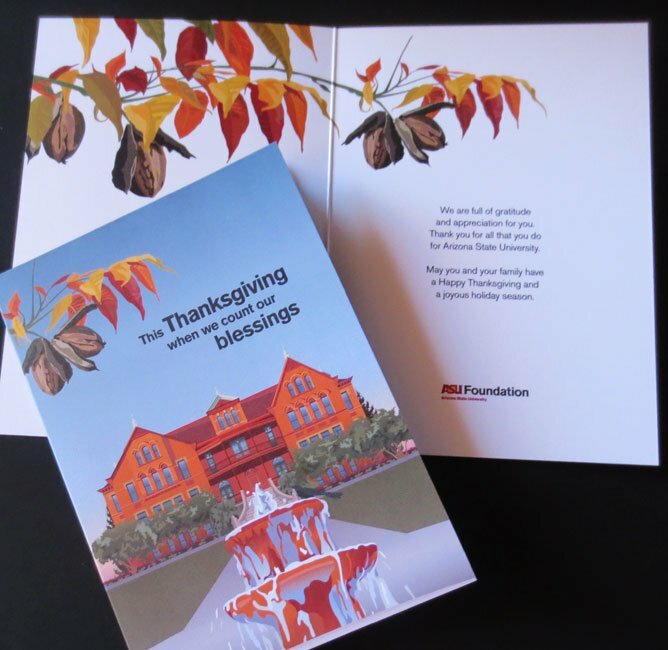 The gifts were sent with a Thanksgiving card, which was art directed by Lori and illustrated by Jeff Jones. 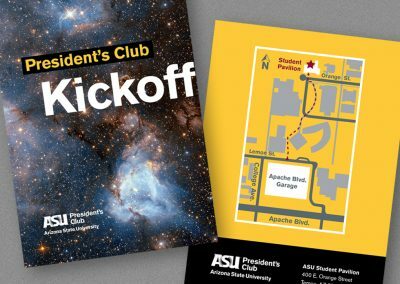 The card featured ASU’s Old Main with a pecan branch in the foreground. 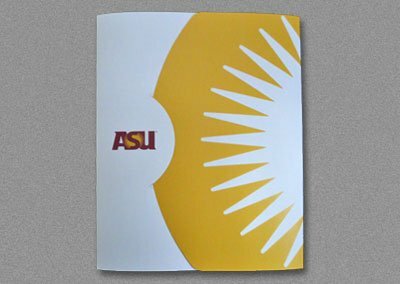 That pecan branch was also added to the interior as well as the z-fold to tie in the pecan theme. 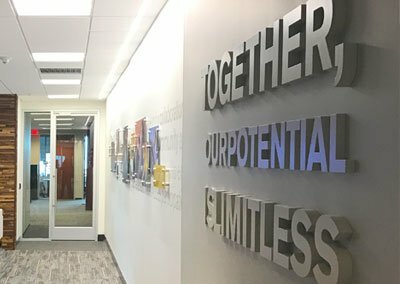 Damon McIntyre grew up in northeast Ohio where he spent his youth climbing trees and getting lost in the woods. 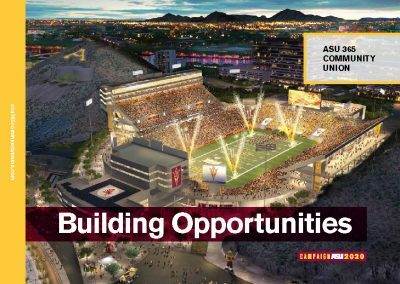 He earned a degree in 3D imaging and animation and a Master of Fine Arts from ASU. 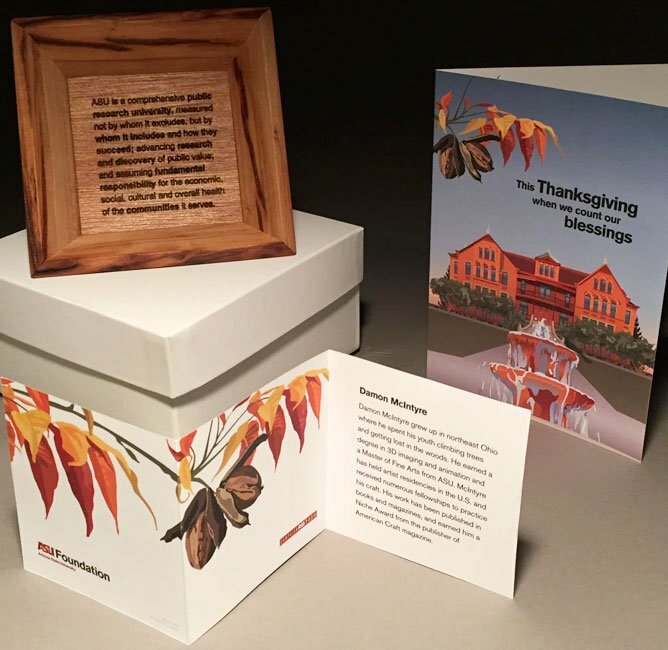 McIntyre has held artist residencies in the U.S. and received numerous fellowships to practice his craft. 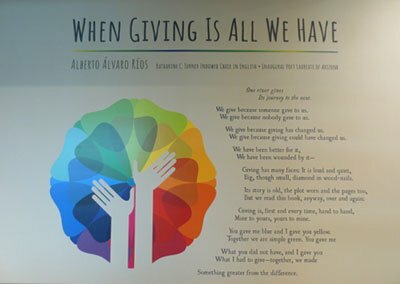 His work has been published in books and magazines, and earned him a Niche Award from the publisher of American Craft magazine. 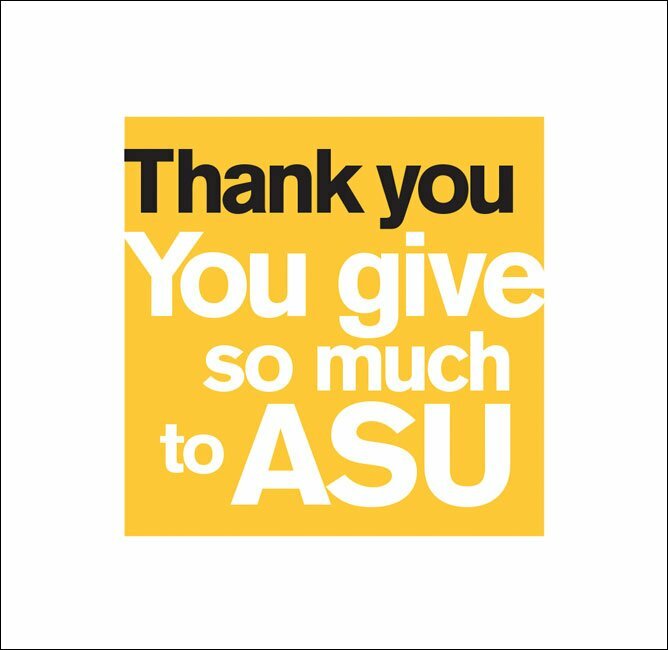 Lori collaborated with artist Damon McIntyre to create this thoughtful, ASU-grown gift of gratitude for generous donors of the ASU Foundation. 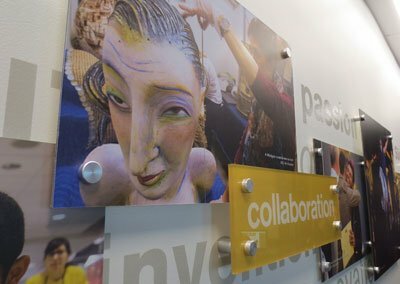 After Damon created several prototypes, Lori shared with colleagues before Damon produced 250 of these unique treasures. 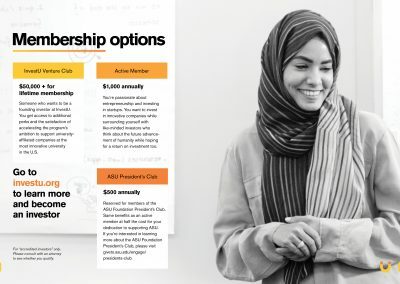 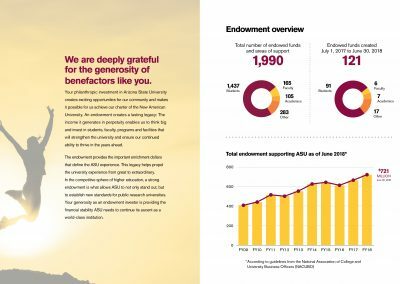 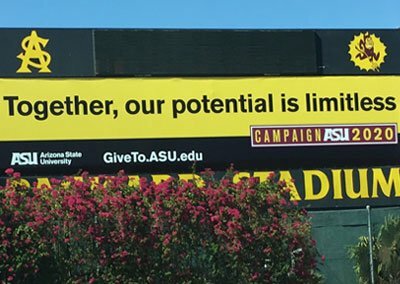 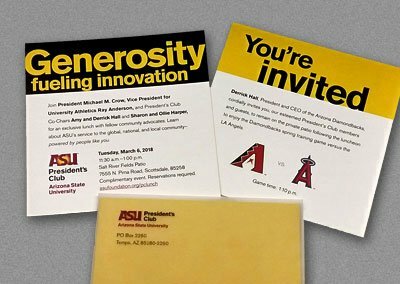 Donors have given so much to ASU, it was time to give them a bit of ASU, grown and crafted on the Tempe campus. 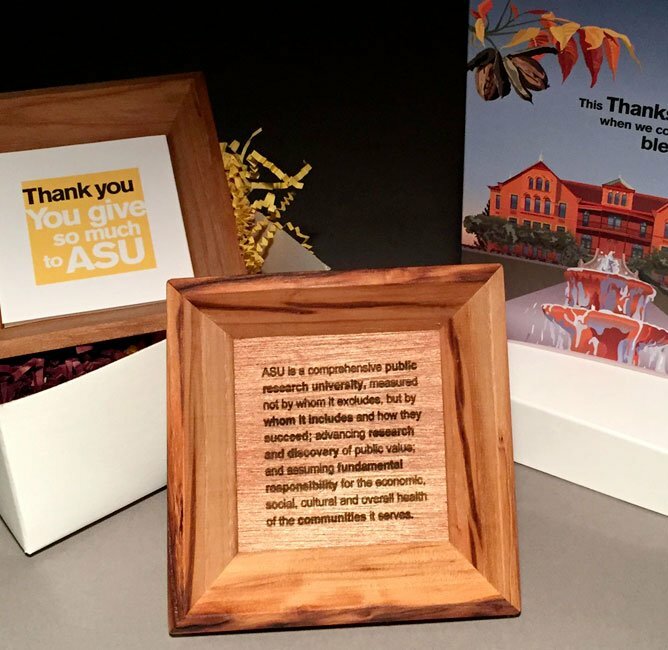 A pecan tree from the Tempe campus is transformed into handcrafted, limited-edition pecan tray gifts acknowledging ASU Foundation’s generous donors.